New 162 watt flood spot combo. Mounting hardware includes. Price 35$ without harness, 50$ with harness. Call text or email. 6 FT 6 soft tri fold tonneau cover for sale. Used for 2 years, like new. Came off a Nissan truck No rails included. Asking 250.00. ON SALE THURSDAY AND FRIDAY OF THIS WEEK WE HAVE THIS 18" 6-LUG WHEEL AND TIRE PACKAGE THAT WILL FIT THE 2016-2018 CHEV SILVERADO 1/2 TON.PACKAGE CONSISTS OF FOUR FACTORY GM 18" ALUMIINUM WHEELS,FOUR CENTRE CAPS FOUR TIRE PRESSURE MONITORS AND FOUR LT265/65R18 B.G.GOODRICH ALL TERRAIN K02 TIRES.REGULAR PRICE ON THIS IS $2495.00..FOR THE NEXT TWO DAYS ONLY $1999.00 PLUS HST.THAT'S JUST $500.00 PER WHEEL,TIRE AND TIRE PRESSURE MONITOR. ONE SET ONLY!! DROP BY HICKMAN MOTORS PARTS DEPT ON 85 KENMOUNT RD OR CALL 726-6990 PLEASE NOTE THIS KIT WILL ALSO FIT THE 2011-2015 1/2 TON HOWEVER THE TIRE PRESSURE MONITORS WILL HAVE TO BE CHANGED IF DESIRED. (SOLD) 2015 RAM 1500 OUTDOORSMAN 4X4 - 5.7L HEMI; 61,000 KILOMETRES!!!!!! (SOLD) 2015 Ram 1500 Outdoorsman 4x4 - $198+tax bi-weekly O.A.C for 84 months with $0 down!!! * QUAD CAB * 5.7L Hemi Engine * 8 Speed Automatic Transmission * Four Wheel Drive * Power Windows * Power Locks * Power Driver's Seat * Power Rear Window * Power Mirrors * Keyless Entry * Remote Start * Air Conditioning * Cruise Control * Heated Seats * Heated Steering Wheel * 8 Inch Touch Screen + Backup Camera * Satellite Radio * 20" Alloy Wheels * ONLY 61,814 KILOMETRES!!! Call us at MARSH MOTORS CHRYSLER today @ 709-489-2151 !!! OR call Tyler Marsh @ 709-486-8706 !!! FREE ISLAND-WIDE DELIVERY AND ON-THE-SPOT FINANCING !!! Thanks for Looking!!! VISIT WWW.MARSHMOTORS.CA TO SEE OUR FULL INVENTORY !!! ON SALE FOR THURSDAY AND FRIDAY OF THIS WEEK THIS 18" 8 LUG ALUMINUM WHEEL AND TIRE PACKAGE THAT WILL FIT THE 2016-2019 3/4 TON CHEVROLET SILVERADO OR GMC SIERRA.COMES COMPLETE WITH FOUR FACTORY GM 18" 8-LUG WHEELS,FOUR LT275/65R18 GOODYEAR DURATRAK TIRES AND FOUR TIRE PRESSURE MONITORS.REG PRICE ON THIS KIT IS $2695.00...ON SALE AGAIN FOR THURSDAY AND FRIDAY ONLY $2300.00 PLUS HST.THAT'S JUST $575.00 PER WHEEL,TIRE AND TIRE PRESSURE MONITOR.NO CENTRE CAPS WITH THIS KIT ONE SET ONLY! 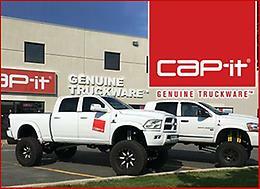 !.DROP BY HICKMAN MOTORS PARTS DEPT ON 85 KENMOUNT RD MON-FRI 8AM-4:30PM OR CALL 726-6990. PLEASE NOTE THIS KIT WILL FIT THE 2011-2015 MODEL YEAR AS WELL HOWEVER THE TIRE PRESSURE MONITORS WILL HAVE TO BE CHANGED OUT IF DESIRED. We have a quantity of rear luggage shades to fit a 2017-2019 GMC Arcadia...Reg price on these is $225.00 plus tax.While supplies last just $29.95 plus tax. Great theft deterrent product.Please call 726-6990 or visit us at 85 Kenmount Rd. * Kilometers: 42645 km * Engine: 1.8L 4-Cyl Engine * Transmission: Automatic * Drivetrain: Front Wheel Drive * Exterior Colour: Barcelona Red Metallic * Doors: 4 * City Mpg: 8 * Hyw Mpg: 6 Stock Number LP6851 For more information contact Toyota Plaza above, call 709.753.4051 or visit us at. * Kilometers: 33987 km * Engine: 1.8L 4-Cyl Engine * Transmission: Automatic * Drivetrain: Front Wheel Drive * Exterior Colour: Brown Sugar Metallic * Doors: 4 * City Mpg: 7 * Hyw Mpg: 5 Stock Number LP0687 For more information contact Toyota Plaza above, call 709.753.4051 or visit us at.